The Internet has spurred countless new ways for scammers to take advantage of the innocent. The most recent example of this never-ending cycle, the Google business listings scam, is specifically intended to defraud legitimate businesses. Here’s how this scam goes down: a caller tries to sell you on hiring their organization to claim your business’ Google listing. They’ll give a hard pitch, e.g., “Your listing is about to expire,” or “Your listing was flagged for removal,” with the goal of inducing panic. But, the truth is you don’t have to pay Google or any other entity to claim your business listing. Google My Business listings are free to own and optimize. 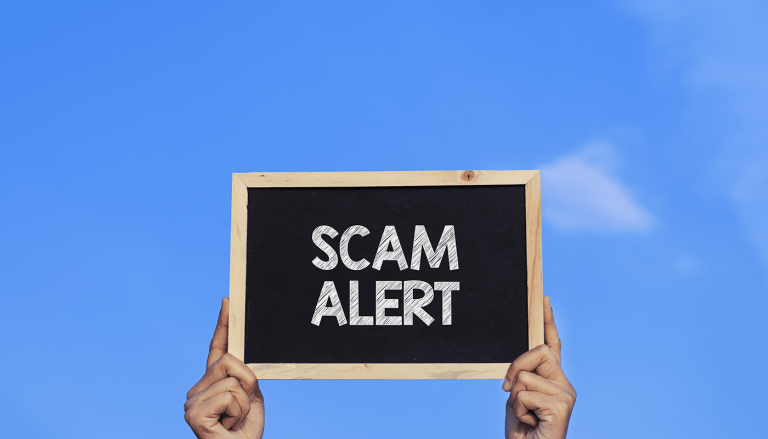 This blog will teach you how to protect yourself from a Google listings scam. This is where the deceit arises: Google listings are entirely free and can be managed by any business owner at no cost. You may choose to hire a digital marketing agency to optimize your business listings for better search results. But, it’s not required to pay Google or any other entity to claim your business’ listings. Keep in mind there is a possibility a real representative from Google may call you to verify or confirm your business listings. It’s not always evident who’s the real deal and who’s a fraud. We recommend reviewing Google’s advice on spotting a fake telemarketing call. One of the key takeaways from this article is that Google does not place robocalls. If you’re not speaking with a real person, hang up. Also, Google wouldn’t call you to claim your website or listing. Instead, they’d ask for you to confirm some general information about an existing listing. Lastly, you shouldn’t engage with a caller who’s asking for money right off the bat. Google does not charge for inclusion in either Google Search or Google My Business. This listings scam is so prevalent that Google created a form for business owners to report this kind of activity. If a caller tries to elicit any payment from you to claim your listing, flag them immediately. After filing a report, place your name on the National Do Not Call list if you’re not already apart of it. Of course, you still run the risk of being contacted, as you’re not dealing with a legitimate telemarketing company who engages in ethical business practices. But, if they continue to contact you after you’ve joined the Do Not Call list, you can file a complaint with the FTC, so they’re alerted to the dubious behavior. You should also try asking the caller not to reach out again. Now that you know what to look out for in the future, we encourage you to share this information with other business owners. These illegitimate companies often ask for hundreds of dollars, which is a blow to any organization. Remember: Google business listings are free and they do not expire. For more information on the Google business listings scam or to learn about optimizing your listings for better search results, contact the Front Porch Solutions team.